Please join us for a 1 day retreat Saturday, April 27th. 1 day retreats include extended sitting practice, chanting, bowing, and private dharma interviews with Jason Quinn JDPSN. Everyone is invited to participate, regardless of experience or traditions, in parts or all of the retreat. Please join us for our annual 2 day work retreat Saturday, August 19th and Sunday, August 20th from 9:30am to 4:30pm each day (there will be no morning or evening practice on either day). Feel free to come any time, but please stay for at least 1 hour. Registration is not necessary, and there will be free lunch! It is a wonderful way to help the Zen Center and talk with the other practitioners (work retreats are not silent). Work might consist of painting, carpentry, yard work, cleaning, etc. so please bring work clothes. Please join us for a 3 day retreat Friday, July 18th through Sunday, July 20th. 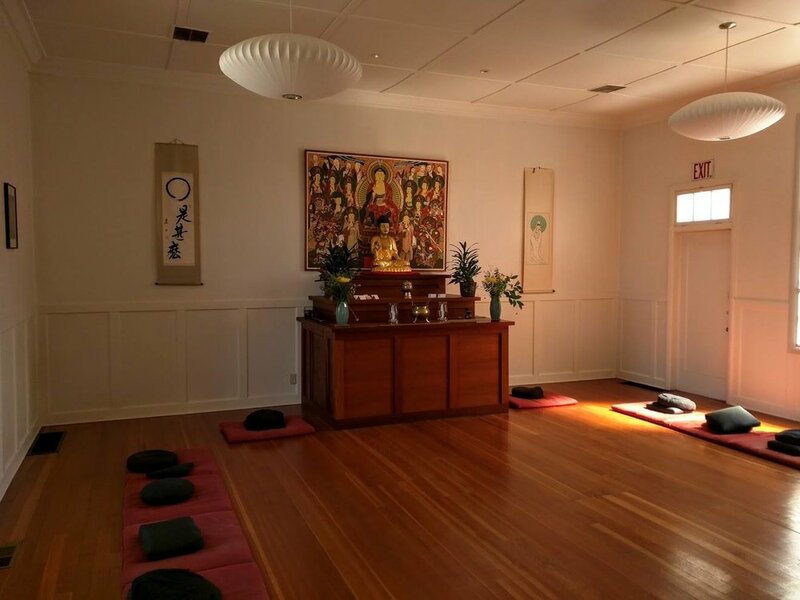 Retreats include extended sitting practice, chanting, bowing, and private dharma interviews with guiding teacher Zen Master Soeng Hyang. Everyone is invited to participate, regardless of experience or traditions, in parts or all of the retreat. Please call or email for registration, entry times or any other questions.